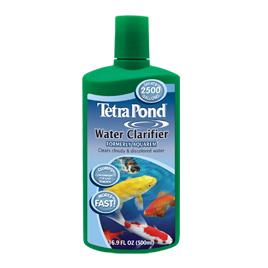 Tetra&apos;s Water Clarifier (formerly AquaRem) quickly clumps contaminants so they can be easily removed by filtration. Will not harm pond life and plants (when used as directed). Works fast! Treats 2500 gallons per 16.9 oz.